The Ceiba Donor Recognition Tree was installed for members of our TASIS Dorado community to make donations in their name or a loved one’s name on an engraved bronze leaf, wood branch or trunk piece. You can also have it personalized with engraved messages or company logo. Some of the branches are already engraved by graduation year and some leaves have already been purchased and engraved with the names of the students. The Ceiba Donor Recognition Tree will “grow" new leaves in the TASIS Dorado Performing Arts Center (PAC) entrance where it will serve as a permanent record of those who made generous gifts. 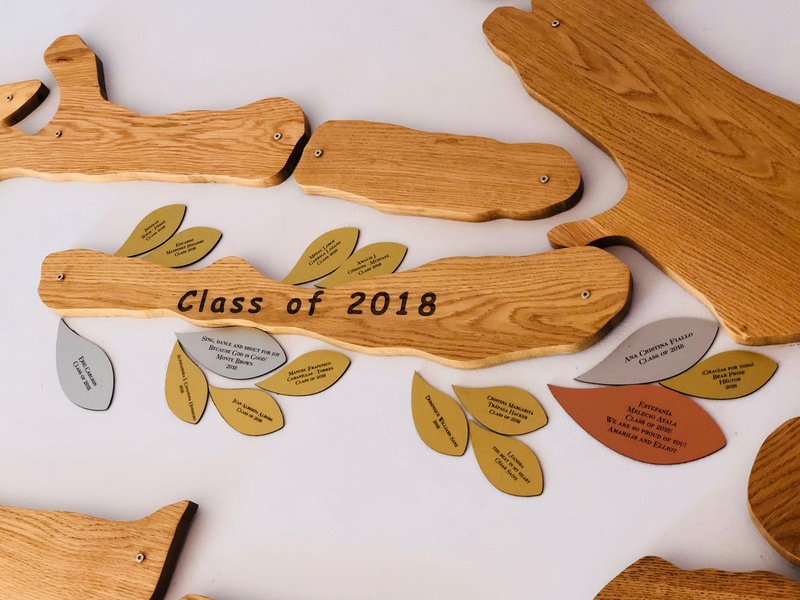 You are invited to help us spread the tree’s canopy or sponsor a wood piece and, in the process, help give the gift of education to a deserving scholarship student. TASIS Dorado, a non-profit educational institution, relies on income from tuition to cover its operating expenses and special projects. We are proud of our academic program and grateful for the support of our community. In addition, fundraising activities and generous donations from parents, friends, and others have supported the construction of the Performing Arts Center (PAC) and defrayed the cost of student scholarships. We believe that education is one of the most important investments a family makes and that a TASIS Dorado education is well-worth the sacrifice. We know our school can grow and that there are opportunities to take TASIS Dorado to the next level of excellence. Currently, about 2% of our total student body is supported by our Scholarship Fund. Please consider supporting part or all of a $13,000 student scholarship. Every donation, small or large, makes a difference!